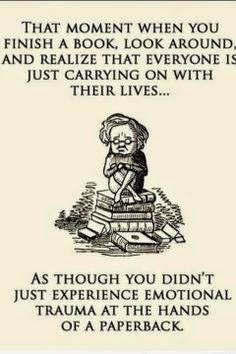 That moment when you finish a book, look around, and realize that everyone is just carrying on with their lives... As though you didn't just experience emotional trauma at the hands of a paperback. This quote was "lifted" from Pammy Sue at Scotty's Place with permission, of course! I makes me smile! haha... this is so true, Marici :) Happy Monday! I love reading to escape and read other peoples drama. I'm reading a good book right now by Francine Rivers. Its an older one she wrote but I love her books. So true so true! We laughed at this because it's happened! Pillow Cases, Just the Way You Like Them! Who's Ready for Gardening Season?